Fantastic tent, top quality. We (2 adults) have used it many times since we bought it and it had served us superbly. Have had 2 separate weeks away in it so far this year. It is always warm and cosy, has never leaked a drop even in the worst of weather. We chose it because of the large living area. We never use the divider in the sleeping area and it will take a double airbed and leave loads of space for bags etc. Nothing has ever broken, can't praise it enough. 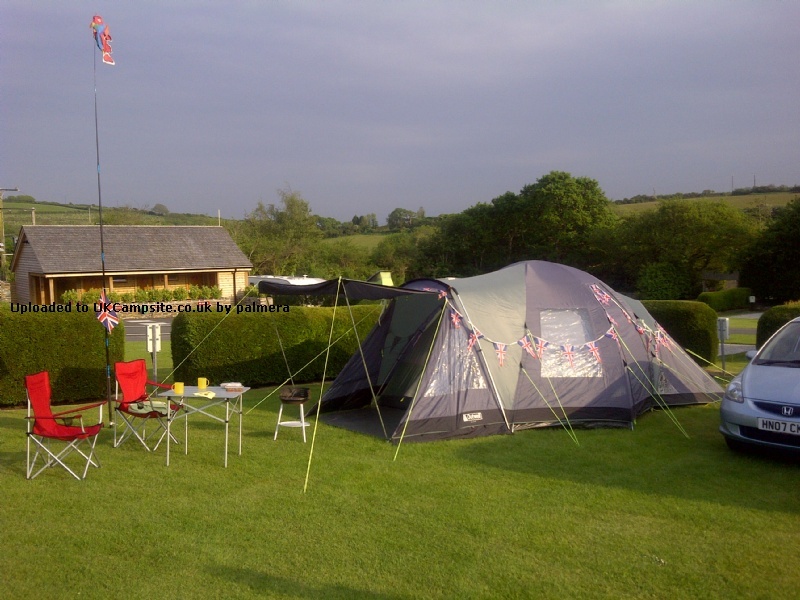 I use this website regularly, so thought it was about time I did my bit and left a review for my lovely old tent, the Outwell Hartford M.
My husband and I have owned ours for approximately 10 - 11 years now. 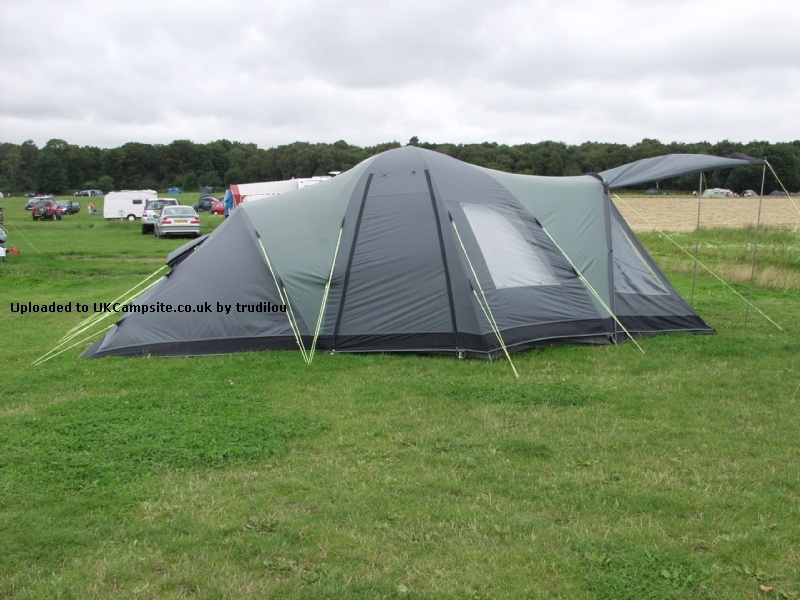 Seriously, if you think modern day Outwell tents are good, they are nothing compared to this. It's double skinned, which I think is the main reason it is so much better. 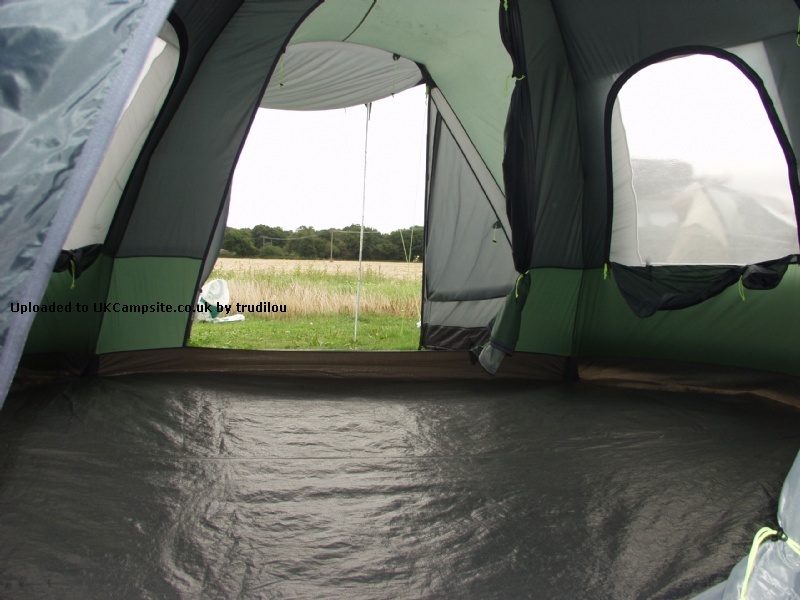 I have looked at numerous Outwell tents over recent years and whilst Outwell still seem to be leader of the pack, their newer, single skinned offerings seem a bit 'flimsy' in comparison. 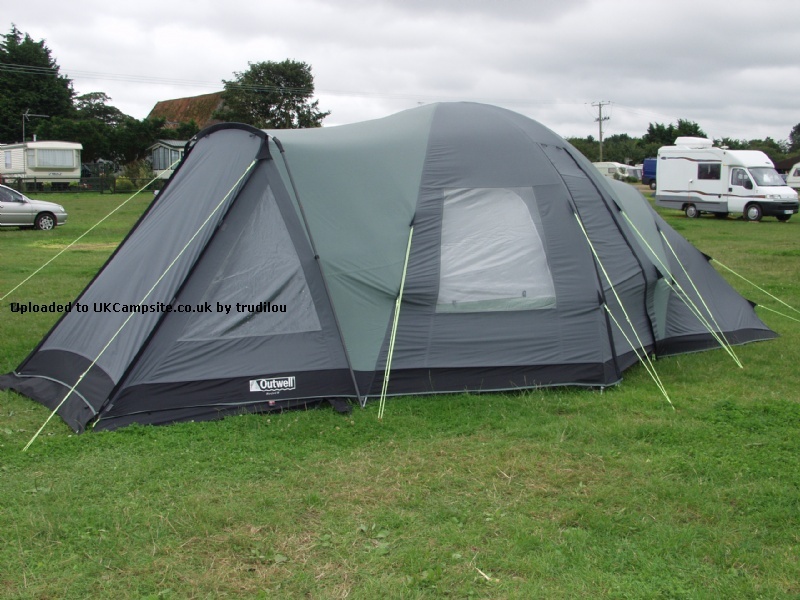 I hope this review may help anybody who may be thinking of purchasing this tent on the second hand market. Just do it, you won't regret it. Unfortunately, we don't get to use ours much anymore. When we purchased it 10 years ago, we were young and carefree and had many happy holidays - now we are married with two children and want to get into camping again, so currently looking to upgrade for a bit more space! We will never get rid of this though, it's too good to let go. I just wish it wasn't such a tough act to follow. I have even considered looking on the second hand market for an old double skinned Hartford L/XL, even though we can afford to buy new. That's how good it is! Although this is our oldest tent we still love using it early & late season as it is double skin & very snug with just 2 people in on the colder nights. 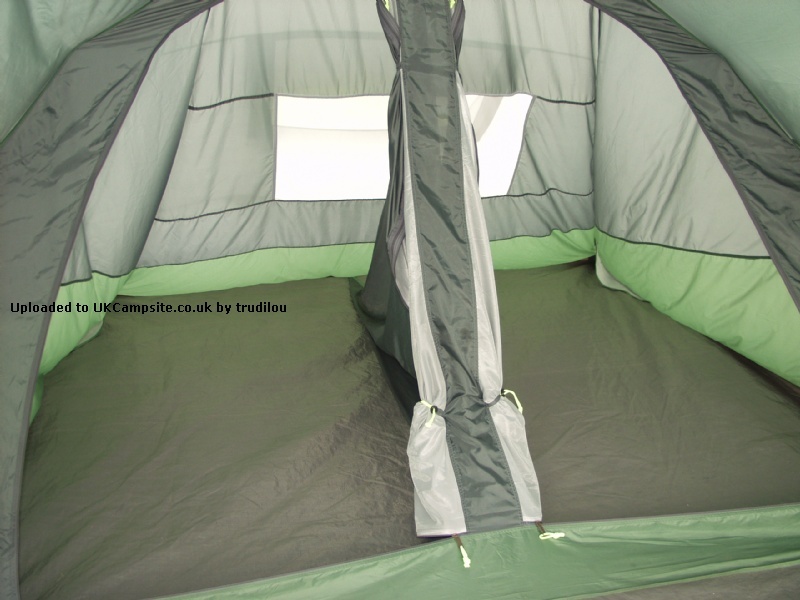 The double pod at the back opens out into one large area to take a good sized airbed. The small side doors on either side give the option of opening either one depending on wind direction or both on hot days. Once pegged & guyed down properly this tent is going nowhere especially using Deltas on the main guy ropes. The 5000hh makes sure you stay dry even in a British summer. 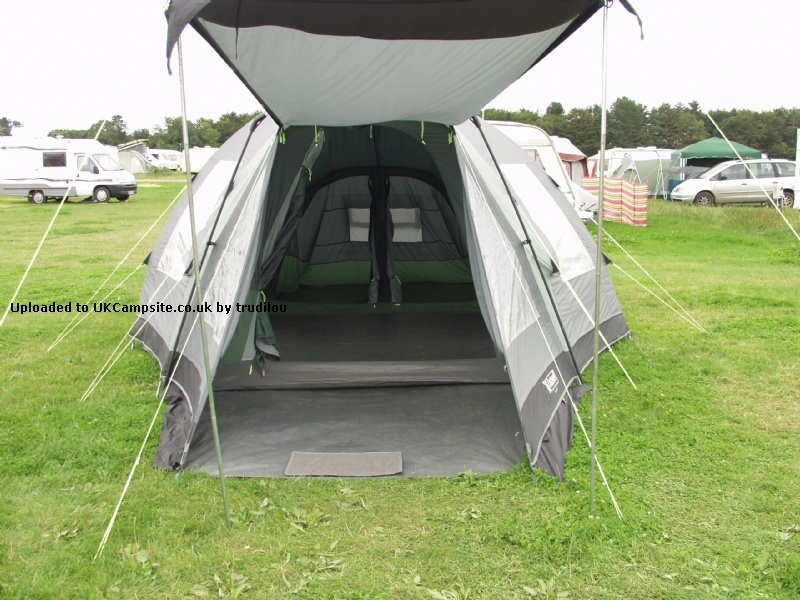 The standard Hartford porch (pre 2009)fits this tent & gives loads of extra space. The number of guys make this tent really secure but also take a while to do so that is the only reason Im not giving 10/10 for a superb but slightly ageing tent. I wish the new Outwells were this good. Add your review of the Hartford M! The already successful Hartford M boasts the large, full height living area, along with a very spacious sleeping cabin with divider sleeping up to 4 people. 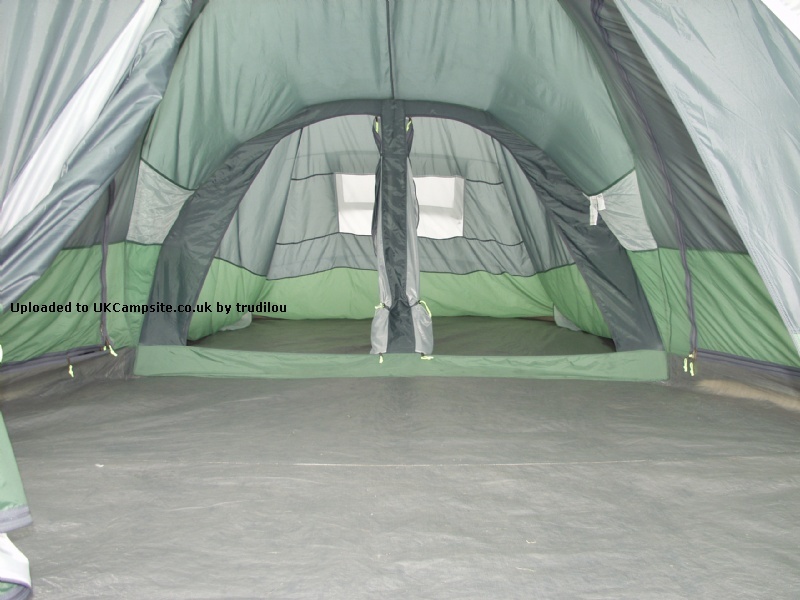 The three doors that can be set up as sun canopies, allowing easy access and excellent ventilation. The large windows and additional skylight window give good light to the living area. The many guy points with pre-attached double guy ropes will keep the tent secure in stormy conditions.